This is a pretty rare item, so I might as well mention it here. 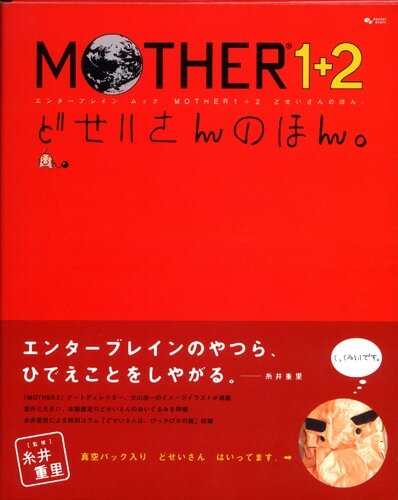 On Yahoo Auctions Japan, there’s an auction for one of those MOTHER 1+2 Art Books. In this particular auction, the book is used, but the Mr. Saturn plushie is still in its original vacuum-sealed plastic wrap thing. If you’re interested, the auction is here, but to participate in Japanese auctions you might need a go-between service (as most Japanese auctions don’t ship outside of Japan) like Celga. Every once in a while these will turn up on eBay, so if you’re looking for one, keep an eye out here, because they tend to go fast. 5 Comments to Save Mr. Saturn! on Amazon JP the last time I checked. 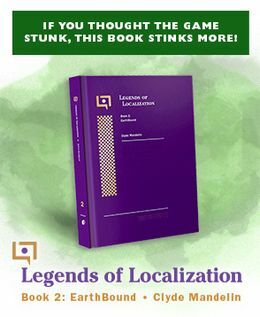 It would be sooooooo awesome to have that book! that poor Mr Saturn. he looks so squished. he needs to be set free, so he can roam and fart. The vaccum sealed mr saturn is saying” its…its hard to breath…” SOMEONE SAVE HIM!! People want about $300.00 to $400.00 for these! !